Who is he? 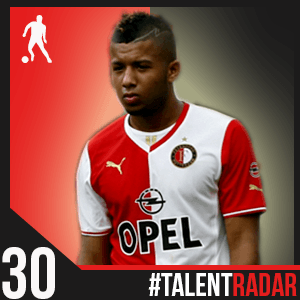 : Vilhena is a 19 year old central midfielder who currently plies his trade at Feyenoord Rotterdam in the Eredivisie. He plays for the Netherlands U21 side, but can also opt to play for Angola as a full international. Back in 2013: He had already made his debut for Feyenoord in 2011-12, but 2013 is the year when he established himself in the Feyenoord team. 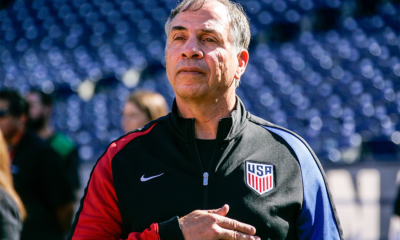 He scored 4 goals in the 2012-3 season, and in March, even made the bench for 2 senior World Cup qualifying matches. In terms of playing, he made the step up from the U19 to the U21 team where he is currently a regular. He’s managed to score 3 goals in 7 appearances for them this season alone. In terms of his club side, Vilhena is an established starter and regularly sees out 90 minutes for Feyenoord. 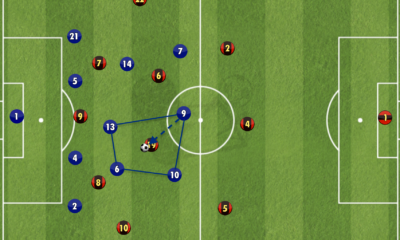 The midfielder is versatile and has been deployed a bit further forward, and on the left as well at times. He’s chipped in with a goal and 3 assists this season. 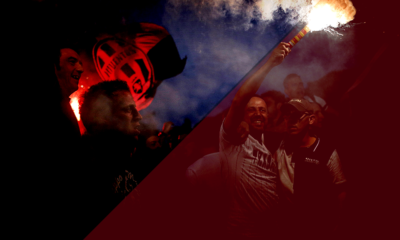 Looking to 2014: Vilhena has managed to make a place for himself in the side, and will want to help his side push for a higher finish in the second half of the season. Internationally, he will want a taste of action with the senior team again, and hope that he gets some playing time. Who is he? 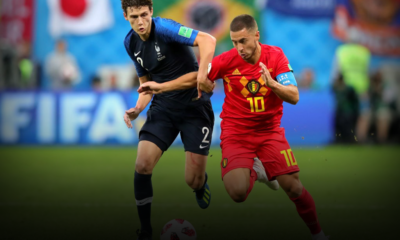 : Belgium seems to be the place from where all the young talent is coming these days, and Bruno joins a long line of good young attackers from the country. He’s a right winger, but can be utilised across the front line. The player is currently 20 years old, and is contracted to Anderlecht. Back in 2013: He established himself as a first team regular at Anderlecht before the start of the current season itself. 2013 was a good year for the starlet, as he put in some good performances for his side. He scored 9 goals in the calendar year that has just gone by in the Jupiler Pro League for his side, most of them coming from the wing, making his haul quite impressive. This season, he’s had the opportunity to play Champions League football as well, scoring against Benfica at the Constant Vanden Stock Arena. 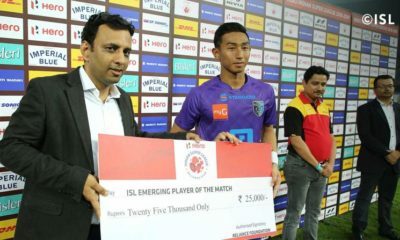 He made 3 appearances in the competition, all starts and missed one game due to suspension, as his side were dumped out of the competition after losing 5 of their games. Internationally, he’s been playing in fits and starts for the Belgium U21 side, without scoring or assisting any goals. Looking to 2014: Bruno is a regular at his club side, and has been putting in consistent performances for them, but internationally, he hasn’t been able to make the breakthrough, due to the competition for places. Bruno will look to keep up his good work, and try to win more appearances for the U21 side. Impressive performances at Anderlecht might catch the eye of some other European clubs as well, so he’s got it all to play for this year. Who is he? : 20 year old central midfielder Berisha was born in Malmo, Sweden, but plays international football for Norway. 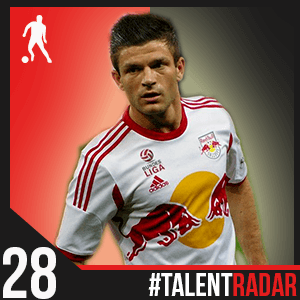 At club level, the youngster plays for Red Bull Salzburg in Austria. He mostly plays with the U21’s scoring thrice in in 17 appearances for them, but to his credit, he has also made 11 appearances for the senior national team. 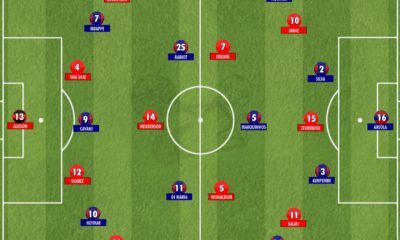 Back in 2013: The young Berisha hasn’t been able to cement his place in the Salzburg starting 11, and the same can be said of his spot on the senior national team. 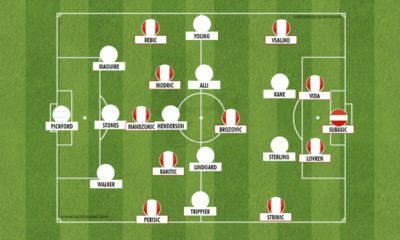 While he has been far more regular for his club, he’s mostly been used from the bench at international level. In the first half of the year, Berisha managed to get a goal and 5 assists for his club. He was part of the starting line up on a large number of occasions, but this season has seen him play a lot more in rotation. Despite that, his tangible return has improved, with the Norway international getting 3 goals and 6 assists despite being in the starting line up just 9 times. He seems to have fallen out of favour a little at international level, and this has seen him play for the U21 side a lot more. He showed his skill in an excellent performance against the Swedish U21 side, scoring one and assisting the other in a 2-0 win. Looking to 2014: Berisha has the talent to play for the senior side, but needs to work hard and make the step up to that level. At Salzburg too, he will want a lot more playing time to influence matters on the pitch a lot more. His impressive goal and assist return from a more advanced position might just be the trick that makes is work for the youngster. Who is he? : Gauld is an attacking midfielder who is 18 years old. The Scotsman plays for Dundee United, and is already quite famous owing to the fact that he’s been linked to clubs like Real Madrid and been likened to Lionel Messi. The youngster is still an U21 international, having made his debut at that level quite recently against Georgia U21’s. 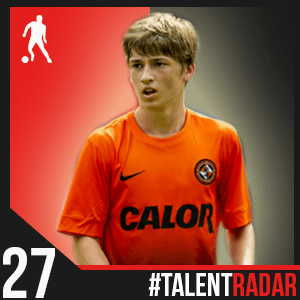 Back in 2013: He made his debut in 2012, but 2013 has been an exceptional year for Gauld. He broke into the side in the past year, and managed to score his first senior goal against St. Johnstone on the 1st of April. He even came on as a late sub in the 4-3 Cup semi final defeat to Celtic, and provided an assist He ended the season with just that one goal to his name, but had a few starts and the experience helped him this season. This season, he’s been a different animal altogether. With more starts and more chances, he’s lit up the SPL, scoring 5 and assisting 7 in 17 SPL appearances in the second half of the season. 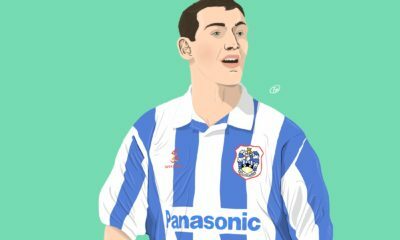 A special performance was in the Cup, when he picked up 3 assists in the 4th Round win over Kilmarnock, inspiring his side to an excellent 5-2 win. 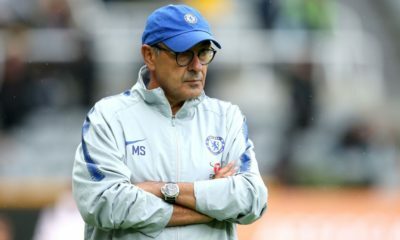 Initially, he was shifted around quite a bit, but a regular run of starts in the attacking midfield position seems to have helped him settle, and we’re beginning to see his talent. Looking to 2014: Gauld had a brilliant 2013, and all eyes are on him this year. The youngster has made his debut for the U21 side, an age level above his current 18, and if he continues performing like he did last year, the senior team may not be too far away either. 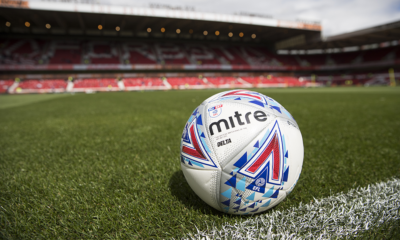 As for his club form, Dundee will be hoping to keep him a little longer, though one feels that a move to a league other than SPL might benefit his technical game. Who is he? 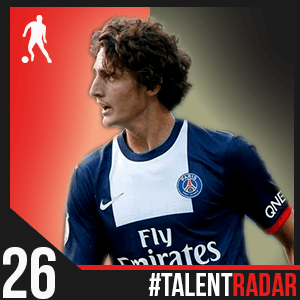 : Rabiot is an 18 year old French midfielder, who currently plays for PSG. 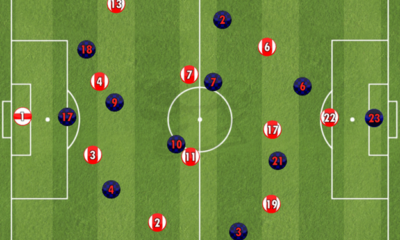 The tall player is a central midfielder, but can fill in as a defensive midfielder if needed. The youngster has made some waves already, after winning opportunities in PSG’s all star line up, and his talent and performances have seen him linked with the likes of Arsenal. Back in 2013: As is the case with many youngsters at PSG, Rabiot found it hard to break into the team in the 2012-13 season. That’s why he spent the second half of the season on loan at Toulouse. There, the youngster did well for himself, making 13 appearances and getting on the scoresheet once. A lot of these appearances were starts in which he played the full 90 minutes. What’s impressive is the fact that he broke into the team, and kept his place there. Such performances on loan convinced the PSG hierarchy to keep him at the club for this season. In Ligue One, the youngster has made 6 starts thus far this season, and has been subbed onto the playing field more often than not, picking up a goal and an assist against Guinamp and Lorient respectively. In the UEFA Champions League, the player has made 5 appearances, playing all 90 minutes in the defeat at the Estadio da Luz against Benfica. Rabiot has been a back-up to the first team, and has been the go to guy during cup competitions. Internationally, he has made a few appearances for the France U21’s, but hasn’t really established himself there. Looking to 2014: Rabiot has done a decent job as back up to the first team this season, but if he is to grow to realise his full potential, one feels that he needs to be a regular starter at some team. He might not get these opportunities at PSG, and a loan move may be fruitful. If he does stay at PSG though, the midfielder can work with a top coach like Blanc, and compete with the likes of Matuidi and Veratti, which can only improve him. Who is he? 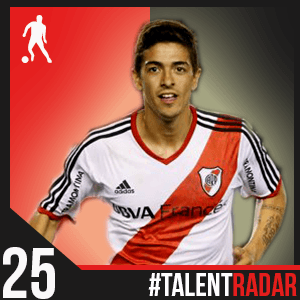 : Lanzini is a 20 year old Argentine who plays as an attacking midfielder for River Plate in Argentina. The youngster has made 5 appearances for the Argentina U20 side, scoring twice in those appearances. He made his debut for the club back in 2010. Back in 2013: 2013 has been a good year for Lanzini. The Torneo Final takes place in the first half of the year, and Lanzini gave a very good account of himself in this tournament. Of the 15 appearances he made, all were starts, and he went on to score 5 times, and provide 2 assists. This year in the Inicial, the youngster has made 17 appearances, 14 of them being starts. The goal output hasn’t been as high, as he has scored only twice, and not assisted yet. What’s clear from the above stats though is the fact that River are quite clearly reliant on the 20 year old. He is one of their top players. Looking at 2014: While a call-up to the Argentinian national team might be too far-fetched for Lanzini, he certainly has a massive part to play at River Plate. 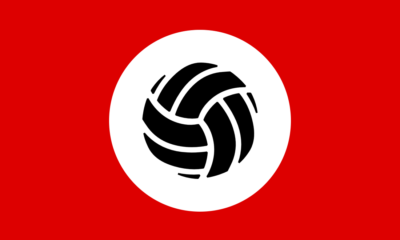 The popular club had a poor run in the Torneo Inicial and will be hoping to change their fortunes around. And that means more responsibility on Lanzini as he looks to pull the team through. With performances like his, and the experience he gains, European clubs are sure to have a look at him. Who is he? 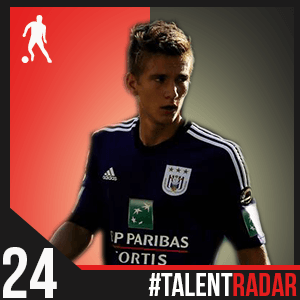 Dennis Praet is a 19 year old who plays for Anderlecht in the Jupiler Pro League. 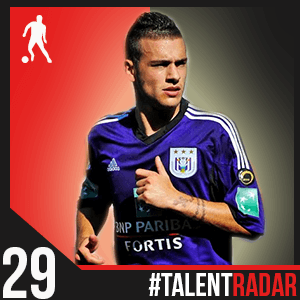 The young Belgian can play across midfield and plays for the Belgian U21s. Back in 2013: Praet started all but one of Anderlecht’s games in the regular season and assisted a goal in a 2-0 win over RSC Charleroi. He also started in 4 of the playoff games assisting a goal in Anderlecht’s 2-1 win over Genk. Praet has played a big role in Anderlecht’s season thus far starting 15 games and coming off the bench in 4 more. He’s scored 3 goals and assisted 2 more in the first half of the season, a healthy tally. He also started 5 of the Champions League group games. Praet was integrated into the U-21 setup this year and has started 2 of their 6 qualifiers and come off the bench in 1. Looking at 2014: Praet has long been linked to some of the heavyweights of European football and eventually Anderlecht will lose their young star. Just how soon that will be is anybody’s guess but we certainly hope to see a lot more of him in the coming year. Who is he? Veretout is a 20 year old who plays for French club Nantes. The midfielder is also part of the French U-21 squad. 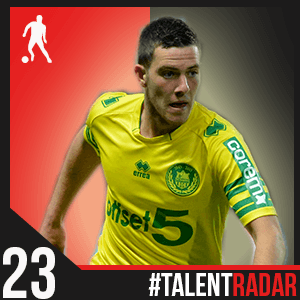 Back in 2013: Veretout spent the first part of the year playing in Ligue 2 with Nantes. He played fairly regularly occupying his spot in central midfield. He started a healthy 25 games last season and chalked up 6 assists including 2 on the last day of the season against Istres. He’s not been short of game time this season either starting 14 games in the league till date. He assisted Nantes’ only goal in a 2-1 loss to PSG and scored against Lyon. He was an important member of the title winning French U-20 starting all the games but 1 in the tournament and got himself on the scoresheet against Turkey. Like many of his teammates from the World Cup, Veretout is part of the U-21 setup and has featured either from the start or off the bench in every one of their qualifiers thus far with 2 assists credited to him. Looking at 2014: Veretout has progressed well and continuing that will obviously be the goal this year. There are a number of young French central midfielders coming through and Veretout will be the first person to admit that he needs to continue to work hard. Who is he? Bittencourt is a right sided midfielder who plays for Hannover. The 20 year old plays for the German U-21 side. Back in 2013: Bittencourt spent the first half of the year on the books of Borussia Dortmund. He started just twice for the club and scored against Freiburg after coming off the bench. He chalked up an assist in his first start which came against Augsburg. 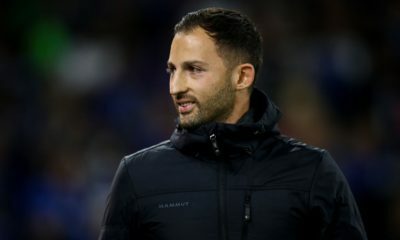 After moving to Hannover, Bittencourt has seen his playing time rise. He started against Wolfsburg on the opening day of the season and registered assists against Mainz and Hoffenheim before scoring his first goal for the club against Nurnberg. He ended the year by scoring in a 2-1 loss against Freiburg. 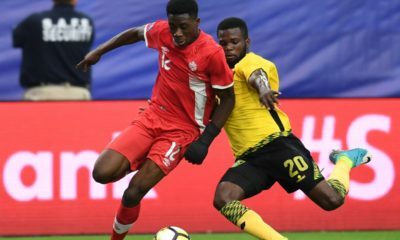 Bittencourt has made the step up to the U-21 setup and has started twice for them in the qualifiers and has a goal and assist to his name. 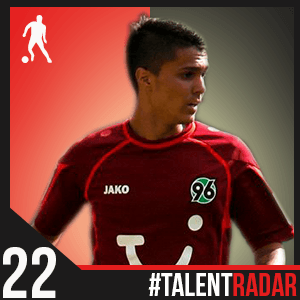 Looking at 2014: Bittencourt is one of the host of exciting talents emerging from Germany and in terms of short term gain, regular playing time for Hannover will only help develop his career. Hannover are a bit too close to the relegation for their liking and the German U-21 international will be looking to help his side move up the table. Who is he? 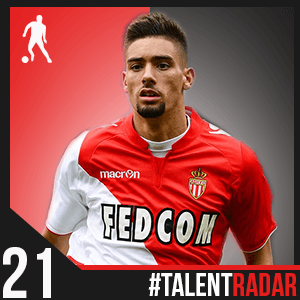 Ferreira-Carrasco is a 20 year old winger who plays for French side AS Monaco. He currently represents the Belgian U-21 team. Back in 2013: Ferreira-Carrasco didn’t have the best of starts to 2013 as he missed out on a host of games in Ligue 2. He did well on his return though and the highlight of the second half of the previous season was a brace in the 2-0 win against Auxerre. Monaco was the talk of the town even before a ball was kicked this season given their investment in the transfer window. 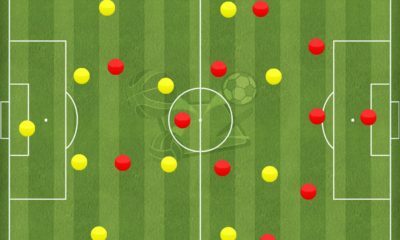 Ferreira-Carrasco has held his own and has made an impact in the Ligue 1. Starting predominantly on the left, he registered the first assist of the campaign against Montpellier. He scored his first goal for the club against St. Etienne and followed that up by a brace against Sochaux. He’s a regular starter for the Belgium U-21 team and even scored in their impressive 3-1 win over the Italian U-21 side. Looking at 2014: Monaco head into the new year in pursuit of table topping PSG and Ferreira-Carrasco will be looking for another successful year both individually and in terms of the team. 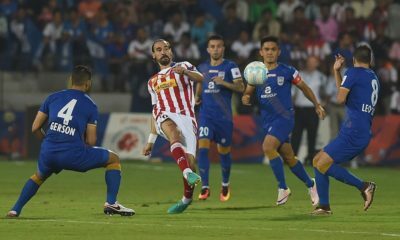 The year has started on a bright note with Ferreira-Carrasco coming off the bench and scoring against OC Vannes in the Coupe de France. 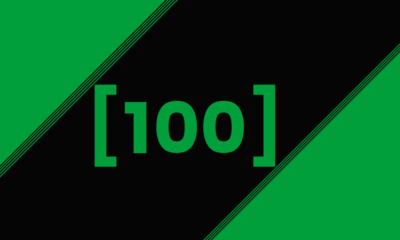 Stay tuned for the next few parts of this series.